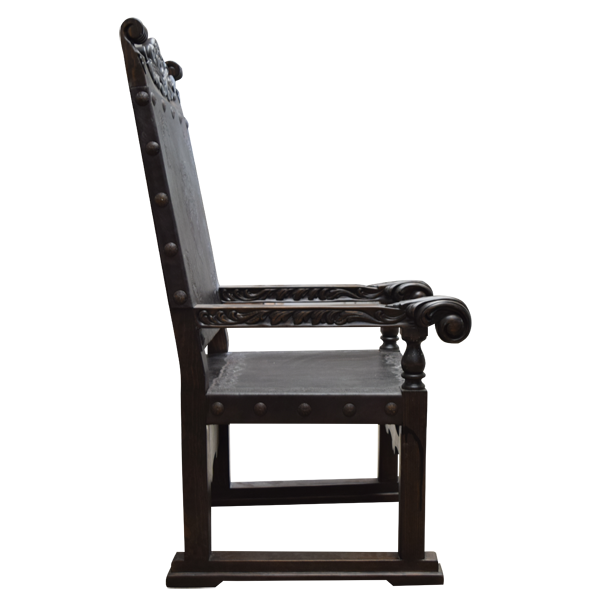 Enhance your Western décor with this Spanish colonial style, handcrafted armchair. 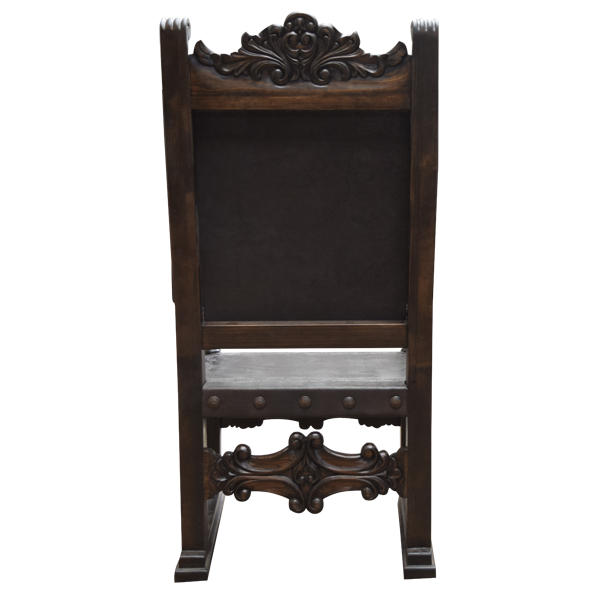 Beautifully designed and built, this custom chair will bring Old World elegance to your home. 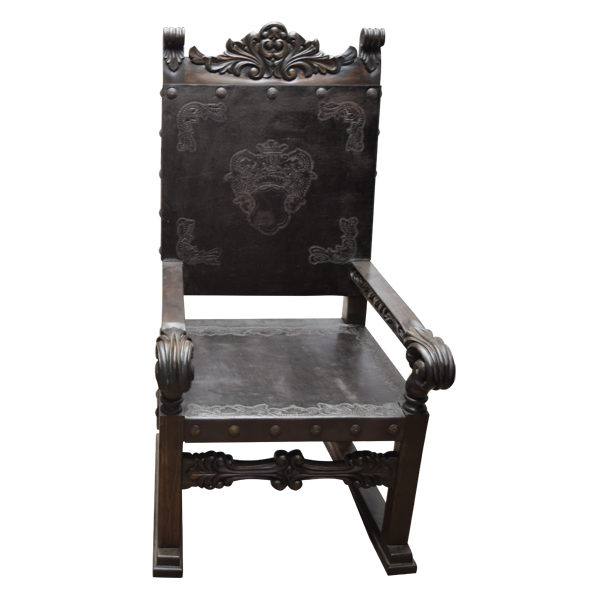 All sides of the base of the seat and the top of the inside seat back are decorated with hand forged iron conchos. 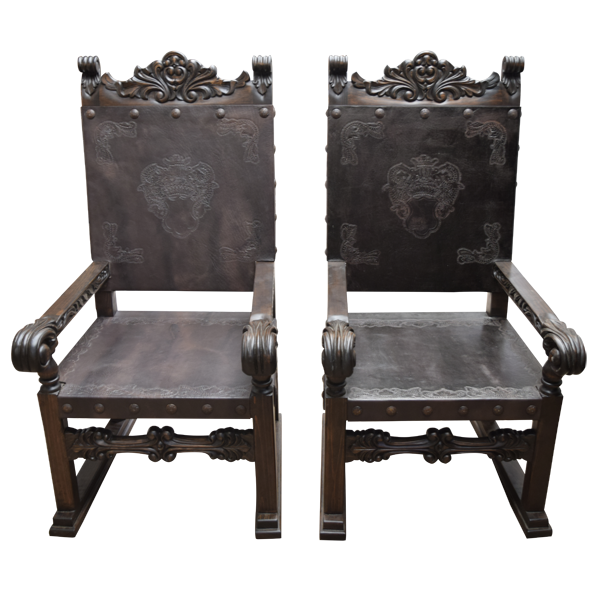 The leather upholstery on the inside seat back of the chair is embellished with an elaborate, hand engraved crest, accompanied with floral patterns. The curved armrest are hand carved with reed and floral details, and end in a scroll design. 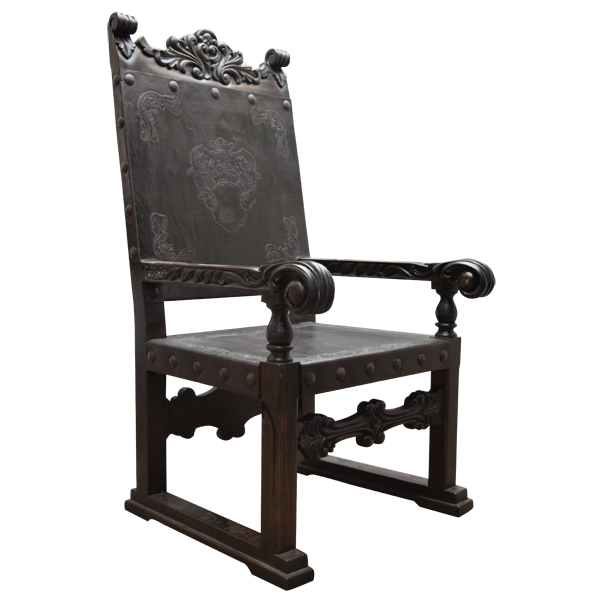 The top crest of this custom chair is adorned with exquisite, hand carved floral patterns. 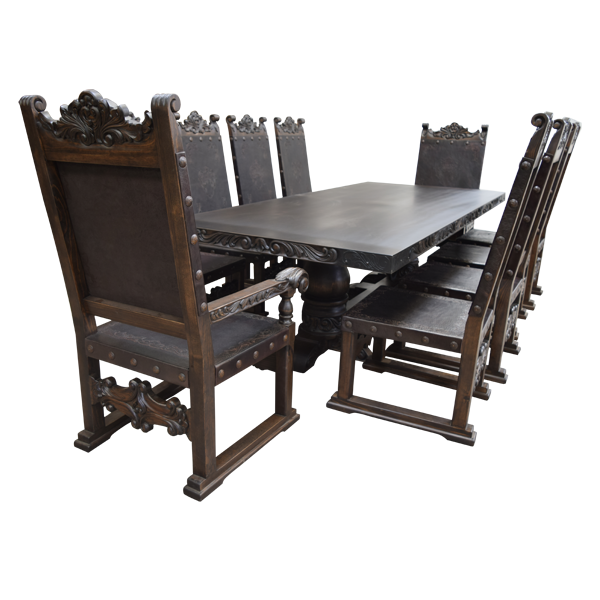 The chair is supported by straight front and back legs, joined by ornate, hand carved crossbars. The legs rest on antique style, solid wood runners. The seat and inside seat back are upholstered with dark, stained, real cowhide. The upholstery is precision hand tacked to the frame of the chair by our skilled craftsmen. This custom chair is made with the best, sustainable, solid wood available, and it is 100% customizable.